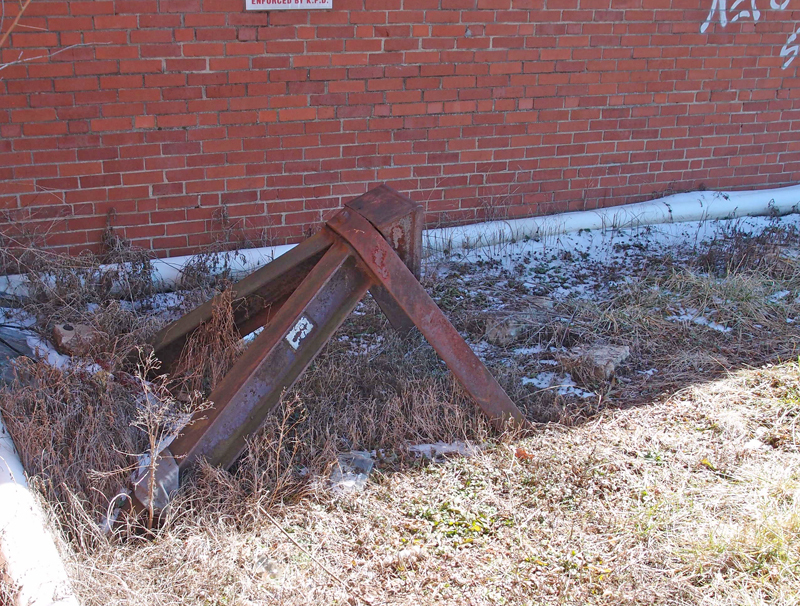 Back a long time ago, a Clinchfield Railroad spur peeled off the main line at Kingsport Yard and came down to this stop, which looks to be a Linden-made piece, next to Oakwood Market on West Sullivan Street. I assume it provided ship-ins to the grocery store and ship-ins and -outs for Roberts-Johnson Lumber Company. The lumber company burned down sometime in the ’70s, I think. Willing to stand corrected on that. I can’t find a reference for it.